Elephants are big. African elephants can weigh up to about 15,000 pounds. Female elephants are called cows. Male elephants are usually found alone, while females congregate together with their young. 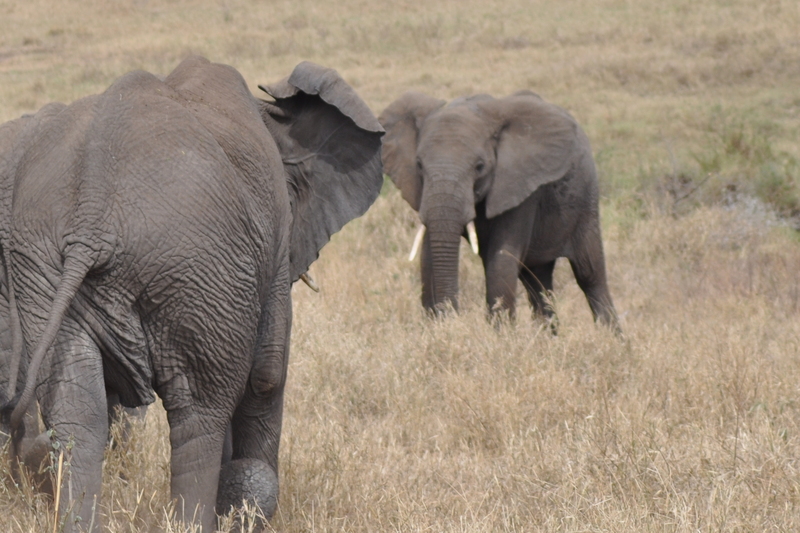 When I was in Africa, we saw a lot of wild elephants. 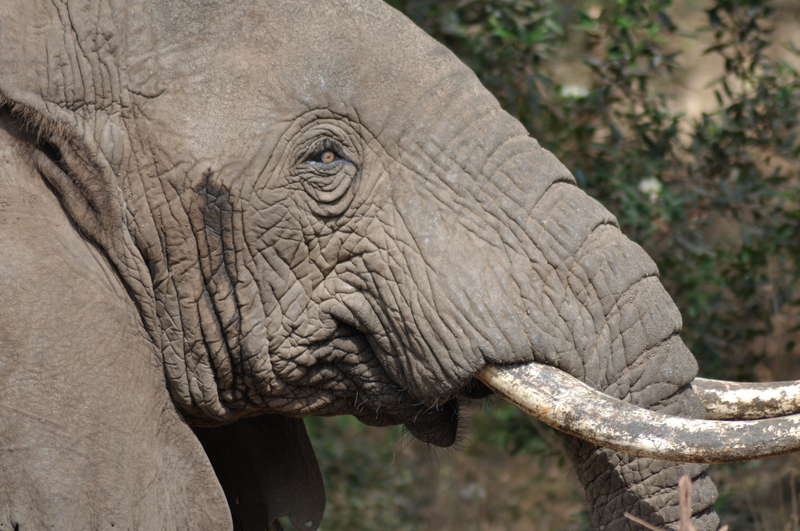 Of the big five in Africa, elephants weren’t really a concern. Everyone thinks that the lions and cheetahs might be the most dangerous. From what I’ve heard, and especially from river rats, hippos could very well be the most dangerous animal, even worse than crocodiles! Apparently, though, elephants can become pretty nasty if they think they’re in a bad place. Or if they’re males in heat..
Another little “fun fact” about elephants: they are REALLY quiet! 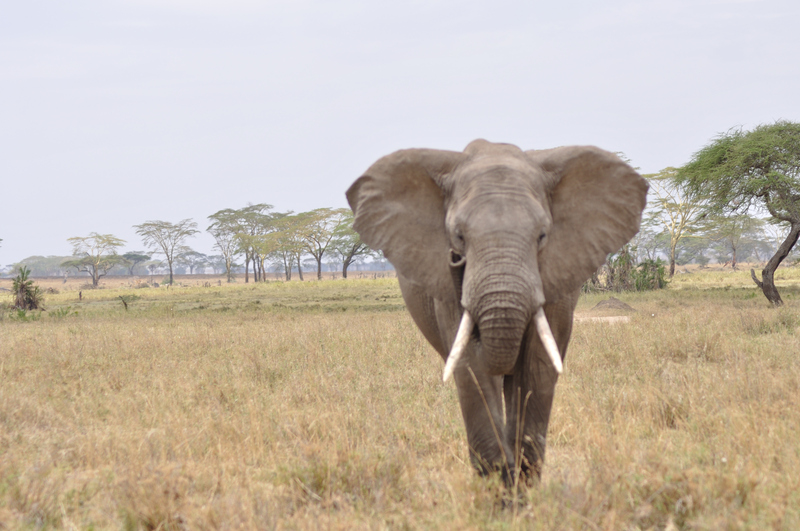 You would think that being 15,000 pounds, you would definitely hear an elephant coming from a distance! Or at least feel the ground tremble! We were stopped on the road watching elephants down in a nearby watering hole. Our jeep had an open top and we were watching and taking pictures. 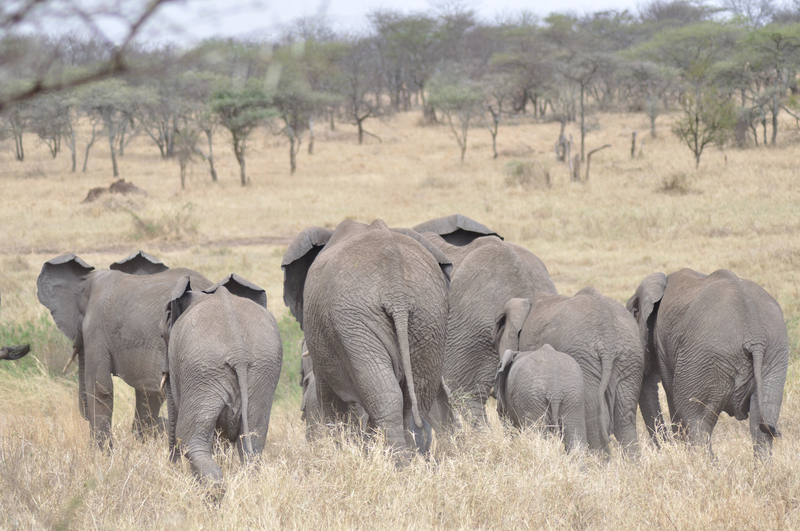 Suddenly, I heard a quiet rustle in the bush behind me and turned around to see a group of elephants RIGHT THERE behind us! We didn’t even hear them until they were right next to us! They ignored us, crossed the street and made their way down to the pond, not even making a sound. It was surreal! I felt deaf! 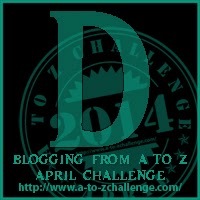 ← D is for Diving!